NPR and other news organizations will be able to easily turn a short news briefing into an extended — even infinite — listening experience. By Joshua Benton @jbenton April 9, 2019, 3:25 p.m.
Hey, owners of an Amazon Echo! (Or hell, owners of that voice-controlled Amazon microwave!) Ever ask Alexa for some news? If you do, it plays the latest headlines from whatever news organizations you’ve set up in your Flash Briefing. But then…the headlines will stop. Time will pass. You will stand in your kitchen, alone with your thoughts. The heat death of the sun will grow nearer. That’s changing (not the heat death thing) with an update to Alexa, rolling out now, that will let you turn that top-of-the-hour briefing into infinite news programming. Asking Alexa for the news will no longer just mean asking for a five-minute MP3 file to be played — it’ll be like turning on the radio. Voice assistants usually only give you brief summaries of the news — helpful if you’re in a hurry, but that’s about it. Amazon is betting that you’ll want something deeper. It’s rolling out an Alexa feature in the US that provides long-form news from Bloomberg, CNBC, CNN, Fox News, Newsy and NPR. Ask Alexa to “tell me the news” or to “play news” from a specific outlet and you’ll get detailed audio from all providers, and video from CNBC and Newsy. You can skip stories if you’d rather not examine every story in vivid detail. 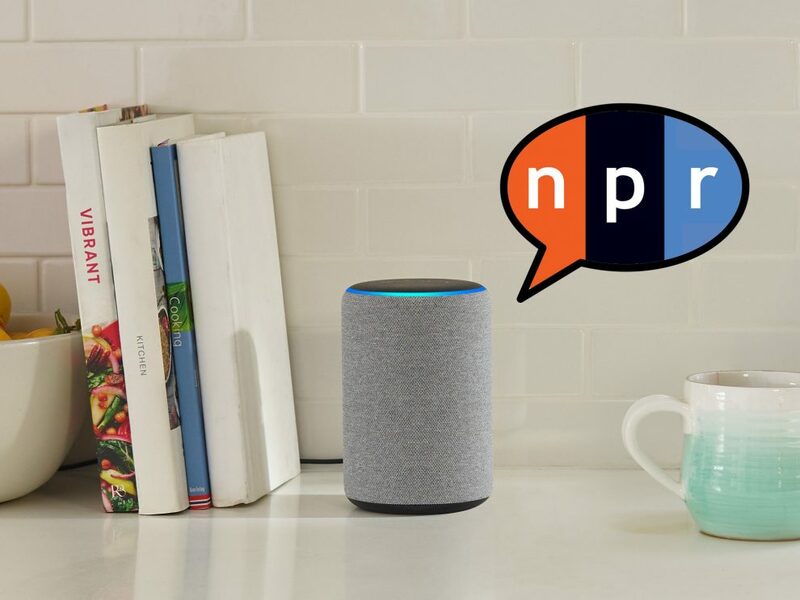 Starting today, thanks to a new partnership between NPR and Amazon, new Alexa owners will hear not only the hourly newscast but, immediately after it, a continuous listening experience that delivers a stream of the best and most up-to-date content from Member stations and NPR. In the two years since we dedicated a team to building our relationships with Amazon and other smart-speaker platforms, our goal has been to use inventory within the national newscast to introduce Alexa listeners to their Member stations. Only now has this become possible without their having to find the right combination of words to “open” a new skill. Now, new users who have not had an Alexa account previously will simply have to say, “Alexa, play the news.” Alexa will then ask, “Where should I get your news from?” If the user replies, “NPR,” Alexa will ask for a zip code and confirm a local Member station, which will then be linked to an NPR One-like flow of news. Note that the proper phrasing would really be “new Alexa owners can hear rather than “new Alexa owners will hear” — users will still need to select NPR as their preferred source over Bloomberg, CNN, or whoever else. And NPR One has been available to Alexa users for two years now — though it requires activating a specific skill, a significant barrier to entry. Still, this is a big deal for audio news producers, especially NPR. The network’s been anticipating this for years: Remember, NPR One’s original name was the “Infinite Player” — a way to shift the digital listening experience from picking individual stories to something more serendipity-driven, radio-like, and connected to public radio’s strengths. Being able to integrate content from local member stations is also critical to managing the shifts in local/network balance of power that digital hath wrought. And it provides more hope for “radio” in the home, a place where it’s lost significant ground to podcasts. How many millennials’ homes even have a single radio? In 2008, only 6 percent of Americans ages 18 to 34 said they didn’t have a radio at home. In 2018, that number was 50 percent. Terrestrial radio’s been able to maintain its position in cars surprisingly well; the share of Americans listening to AM/FM in cars is basically unchanged since 2016, despite podcasting’s rise. But it’s a different story in homes. 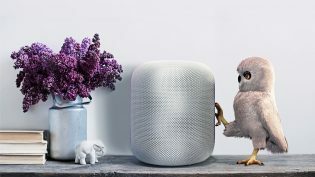 Finding a way to encourage radio-like habits in a digital setting is one of public radio’s biggest challenges, and a lot of new smart speaker owners will be led into radio-like consumption with this shift. And it won’t require any perfectly recited phrases or fiddling with the Alexa app on your phone — being integrated with the default news interface is huge. My wife (then-girlfriend) used to have a roommate who left the local NPR affiliate on the radio at home 24/7 — a mix of background edification and white noise. While podcasting (and so much other media) emphasizes on-demand content, there’s real power in the continuous, programmed-by-others stream that traditional broadcasting built industries on. If that power can shift from the radio dial to that disembodied voice in the black cylinder you ask about the weather, that’s a win. POSTED April 9, 2019, 3:25 p.m.
Benton, Joshua. "Asking Alexa for news no longer has to stop with the latest headlines." Nieman Journalism Lab. Nieman Foundation for Journalism at Harvard, 9 Apr. 2019. Web. 23 Apr. 2019. Benton, Joshua. "Asking Alexa for news no longer has to stop with the latest headlines." Nieman Journalism Lab. Last modified April 9, 2019. Accessed April 23, 2019. https://www.niemanlab.org/2019/04/asking-alexa-for-news-no-longer-has-to-stop-with-the-latest-headlines/.